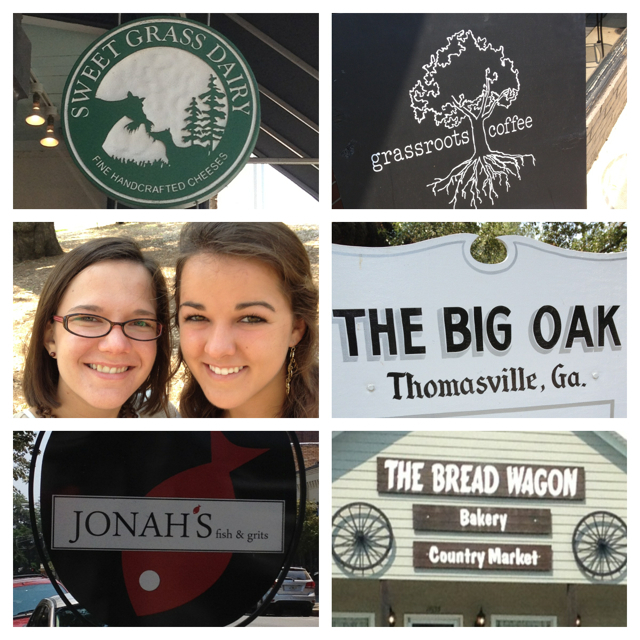 While Jenna was in Tallahassee, we had to round out her trip with a day visit to Thomasville that turned into a foodie trip. On our foodie adventure, we started our day at the Bread Wagon bakery to stock up on date nut bars and other treats. 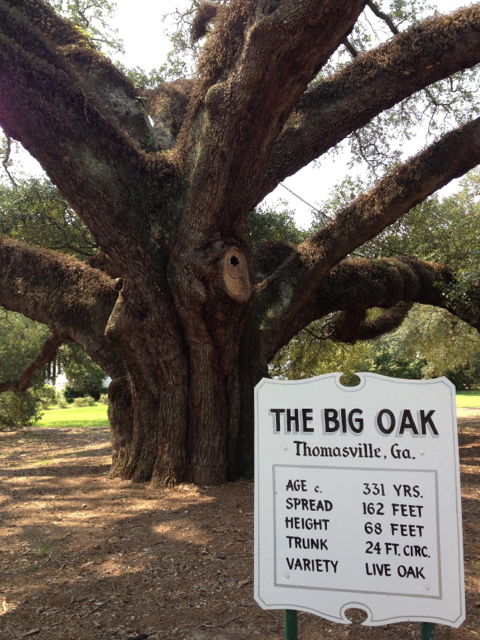 Then, after a visit to the Big Oak, we went to lunch at Jonah’s. Jonah’s did not disappoint – Jenna had salmon (of course) and I had shrimp and grits (we are so predictable). After lunch, we wandered around the main street, poking our heads into the Bookshelf (where I bought the Back in the Day Bakery cookbook! ), Relish and Dash, the school supply store and anywhere else that looked interesting. After a long afternoon of shopping, we needed a pick me up so we stopped at Grassroots coffee for an icy coffee treat. Finally, before we headed home, we stopped at the Sweet Grass Dairy store to taste and buy some delicious cheese. Then we rolled ourselves home and ate lettuce for dinner. 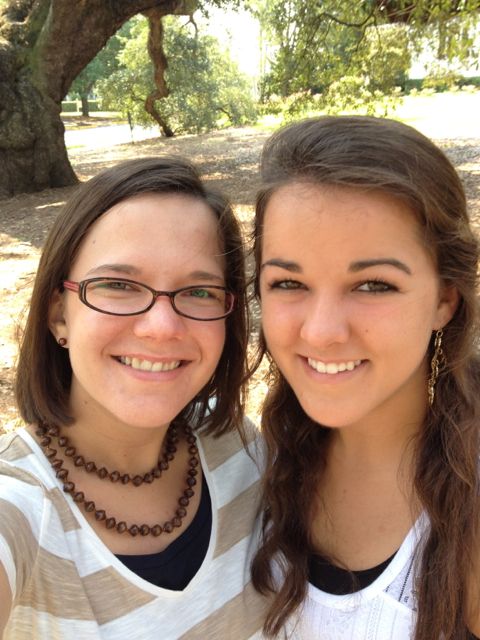 Not really, but we were full of yummy treats from Thomasville and very tired and happy from our day trip.